Jess X. 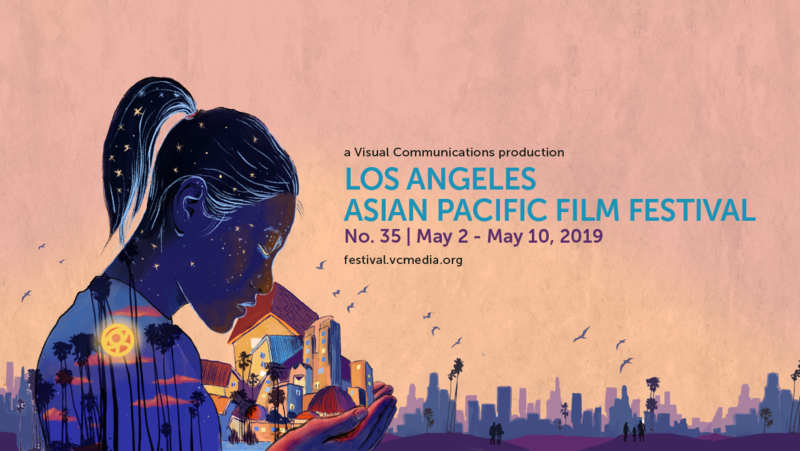 Snow is the artist behind the 35th Los Angeles Asian Pacific Film Festival’s key art. In her hand-drawn digital illustration, a nurturing Asian American Mother Earth figure, modeled after actress Akemi Look (who has appeared in several LAAPFF films), cradles the City of Los Angeles in her palms, home to 1.8 million Asians and Pacific Islanders. This year’s art piece was “inspired by women, queer and trans people of color, migrant and indigenous communities and their ancestors who fight everyday to liberate a future where there is sanctuary for all, where no one ever has to migrate against their will, where we can love whoever we want, in all the ways we dream, where border walls have fallen to the ground and detention centers are replaced with an ocean where all the extinct creatures who have lost to climate change burst back to life.” Through her layering of multiple digital illustration methods, Snow’s work creates an evocative beacon of hope, warmth, and safety in the face of our trying current times. 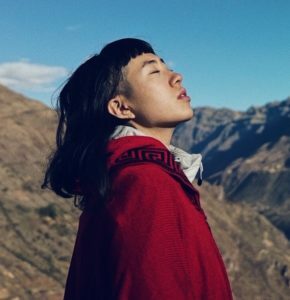 Find more of her work at jessxsnow.com.